Ensuring that women’s health research is part of the scientific framework at the NIH—and throughout the scientific community. ORIP supports research resources, such as animal models of human disease, state-of-the-art biomedical instrumentation, and research-training opportunities for veterinary scientists. DPCPSI plans and coordinates trans-NIH initiatives and research supported by the NIH Common Fund, and develops resources to support portfolio analyses. The mission of DPCPSI includes identifying emerging scientific opportunities, rising public health challenges, and scientific knowledge gaps that merit further research. 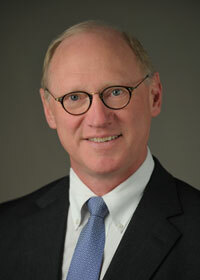 James M. Anderson, M.D., Ph.D., is the Director of DPCPSI and provides leadership for the diverse offices that make up the Division. His experience in the areas of clinical medicine, academic research and administration serve him well in his current role as Director. The NIH Common Fund invests millions of dollars to fund new high-risk research awards to encourage investigators to explore ideas that have the potential to propel biomedical research and speed the translation of research to improve health at a faster pace. Established by the 2006 NIH Reform Act, the Council is an advisory group to DPCPSI and NIH leadership that provides feedback on potential new trans-NIH initiatives. 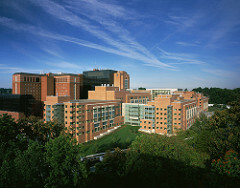 NIH P&E Officers coordinate NIH Institutes', Centers', and Offices' planning, evaluation and reporting processes; advise on science policy issues affecting biomedical and behavioral research; and share information on relevant policies, procedures, and strategic objectives.